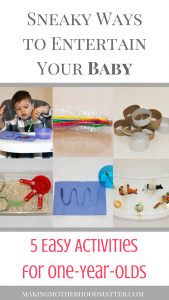 Inside: Check out these clever ways to entertain your baby using five activities for one year olds that can all be done in a high chair! 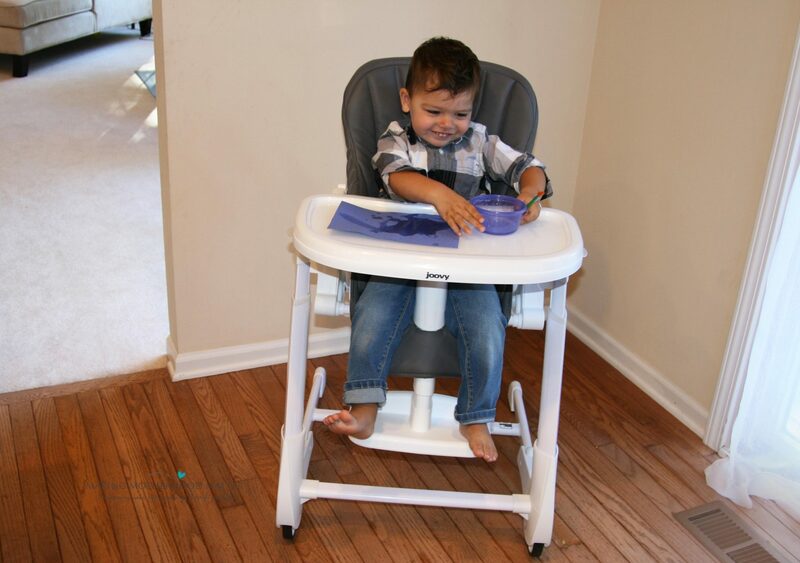 Thank you to Joovy for sponsoring this post by sending us the Foodoo highchair. All opinions are my own. This post contains affiliate links. I love finding ways for my toddler to have fun and discover the world. I have made a list of five easy activities for one-year-olds that can all be done in a highchair. 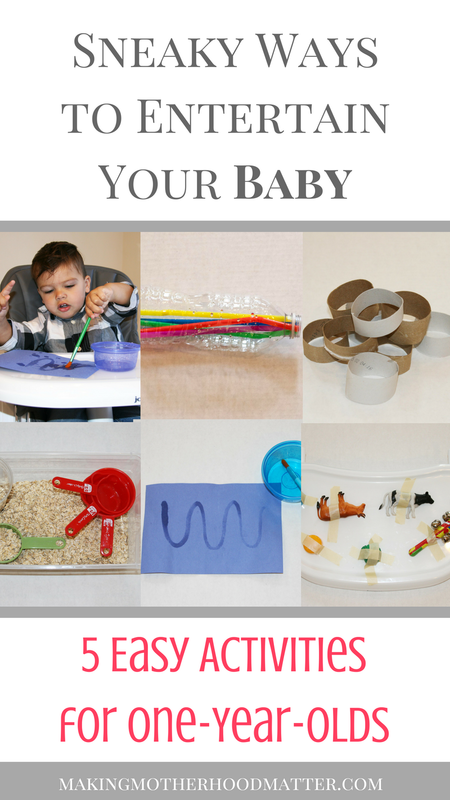 Use masking tape to tape your one-year-old’s favorite small toys to the high chair tray. Then, let them practice their fine motor skills as they peel each one off of the tray. Fill a small bowl or bin with water or oatmeal. Then, give your little one some measuring cups, spoons, or small containers to practice measuring. Recycle old paper towel rolls or toilet paper rolls by cutting them into small rings and letting your little one practice stacking them. Or, you can let them stack the rings onto a paper towel holder like this one. When they are a little older, they may enjoy this silly scissor activity using paper rolls. 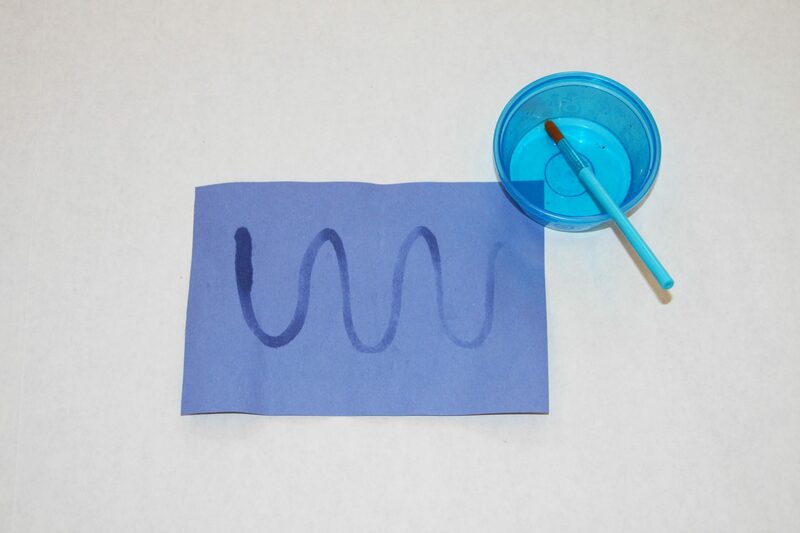 Give your little one a piece of construction paper, a bowl of water and a paint brush. Let them create mess-free art. When the paper gets wet, it shows the design and no paint is needed. 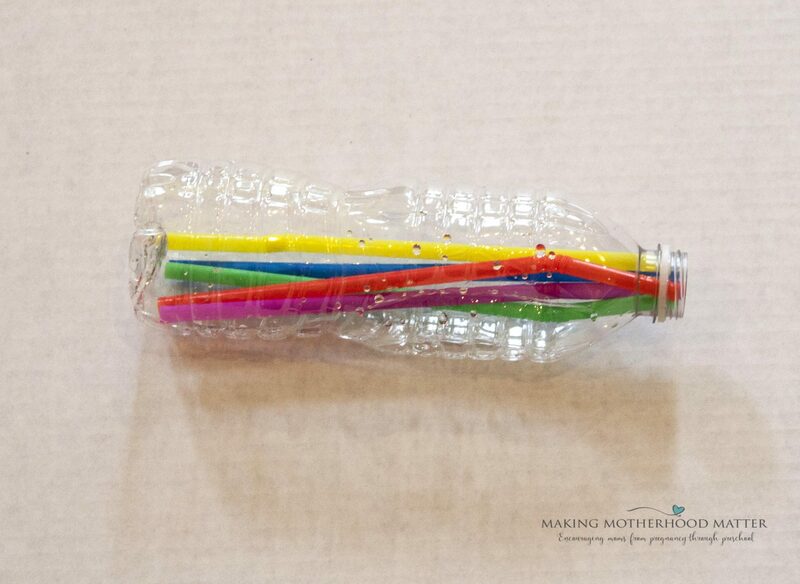 See if your toddler can put plastic straws into a used water bottle and then take them out. 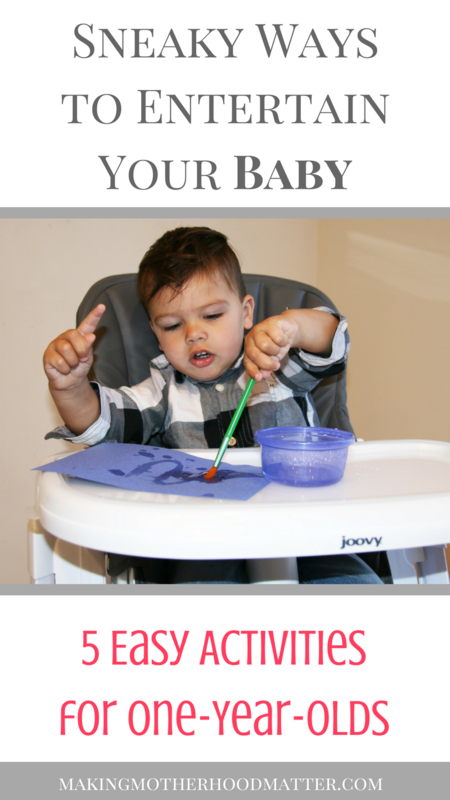 I selected these activities that can be done in a highchair because it allows you the flexibility to sit and play with your toddler or entertain them while you prep a meal or getting some work done next to them. Win-win. I love using my Foodoo highchair by Joovy, for my little one. When I look for a highchair, I want something that looks good with my home decor, sturdy, easy to clean, adjustable, and easy to store. The Foodoo is all of those things. I choose the white and gray design called charcoal so that it would match my home decor. In addition, my kids are super messy when they eat, so I love that I can simply wipe the padded leatherette seat down or take it off and wash it. I also wanted something super sturdy because I want it to withstand my kids climbing all over it. Because kids will be kids, right? The Foodoo feels very well made and has a great weight to it, the only downside to this is that it makes it a little difficult to wheel back and forth. The other cool thing about the Foodoo is that it has so many points that are adjustable. The seat can recline all the way so that baby can be laying down or sitting completely upright. In addition, the height and the foot rest is adjustable. This makes it convenient to feed the baby in almost any position. There are too many features to list them all, but the last of my favorites is that the Foodoo easily folds up making it easy to store. Which highchair activities for one-year-olds would you try? 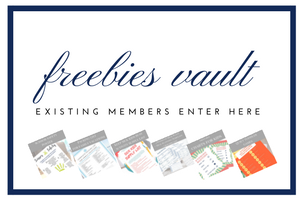 PS – If you like this piece, you may also like Over 100 Easy Kids Activities That are Surprisingly Fun. I love all of these ideas!! So simple, but such a great way to keep toddlers entertained! These are great! I'm sharing this post with my youngest daughter because her youngest daughter (my third of FOUR granddaughters!) will be one year old in December. I can see her enjoying all of these activities! That's great! I am so glad you found these useful!